I love the cool fall weather, in part because it gets me back into the kitchen. Autumn is my favorite season for cooking – a time when we reintroduce heartier, more robust fare and flavors and retire, at least temporarily, lighter summer menus. 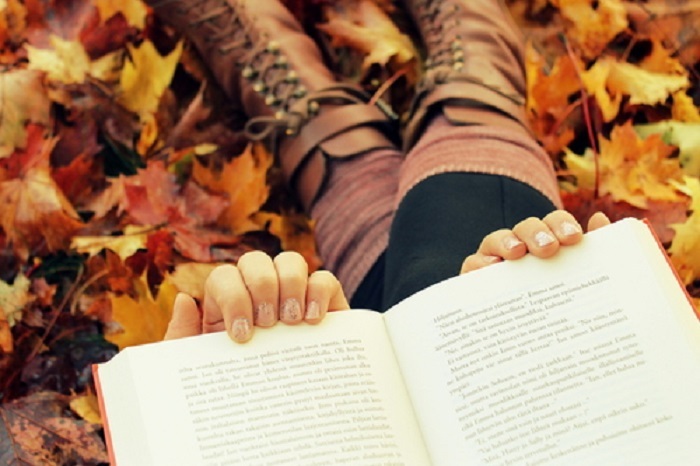 If you’re looking for inspiration to embolden your own cooking, here are some great new fall cookbooks to turn to. 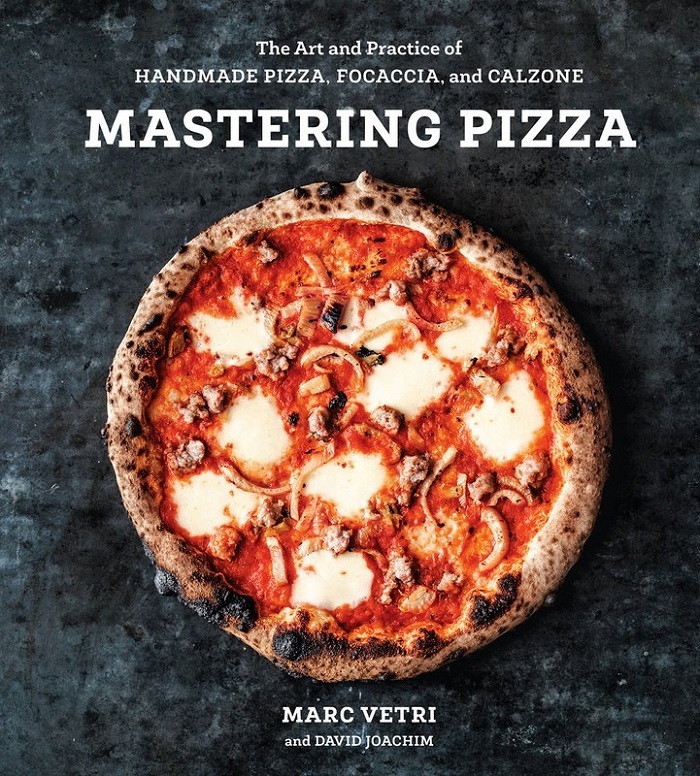 I’ve seen a lot of books devoted to pizza-making, but never one as thorough as Mastering Pizza: The Art and Practice of HANDMADE PIZZA, FOCACCIA, and CALZONE by Marc Vetri and David Joachim. There are no pizza stones left unturned in this book, which includes no less than a dozen different pizza dough recipes (Roman, Naples, Whole Grain, etc.) along with well-photographed, step-by-step instructions for making pizza in wood-fired ovens, electric ovens, outdoor grills and more. Pizza styles range from classic Margherita to pizza with butternut squash, crispy sage and taleggio. This is the cookbook for pizza aficionados. While we’re on the subject of baking, let’s turn to a terrific new cookbook called the Red Truck Bakery Cookbook: Gold-Standard Recipes from America’s Favorite Rural Bakery by Brian Noyes with Nevin Martell. Noyes created Red Truck Bakery in his Shenandoah Valley farmhouse in 2008, after leaving his career as an art director. Today, the bakery ships thousands of baked goods nationwide each year and recipes for many of them are in this nifty book. 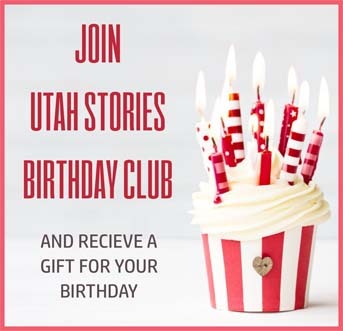 Chapter titles include Breakfast Fixins; Snacks, Spreads, Pickles and Preserves; Blue-Ribbon Cookies, Bars, and Candies; Quiche, Casseroles, and Savory Pies, and of course, Breads. There’s something in here for every home baker, from Skillet Cornbread, Watermelon Pie, and Buttermilk Chocolate Chewies to Shrimp and Grits Pandowdy. Korean cuisine seems to be trending upward of late, but there aren’t a lot of great Korean cookbooks that I’m aware of. 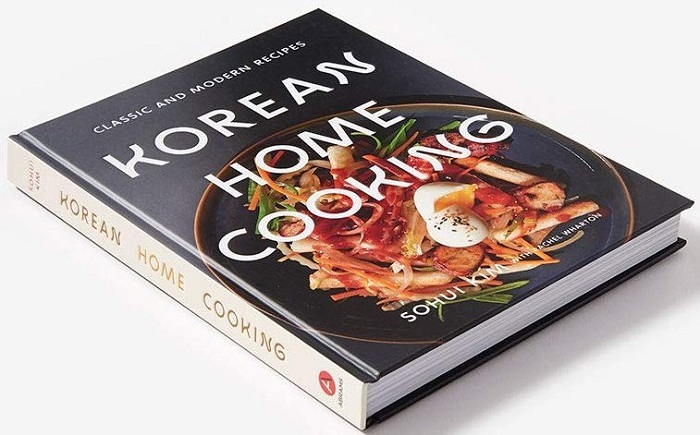 So I welcome Sohui Kim’s new book: Korean Home Cooking: Classic and Modern Recipes to my kitchen. Kim is the chef and co-owner of Insa and The Good Fork in Brooklyn, New York, and in Korean Home Cooking she provides detailed recipes and techniques for achieving restaurant-worthy Korean fare at home. 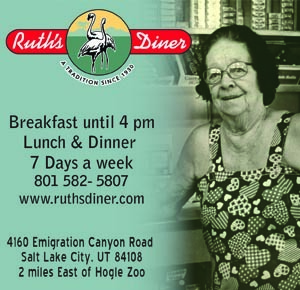 Favorite recipes include Korean Steak Tartare (Yukhwe), Gochujang-Glazed Baby Back Ribs, Pan-Seared Bulgogi, and Bibimbop. This helpful introduction to Korean cooking will also help the reader to maneuver menus and order in Korean restaurants. 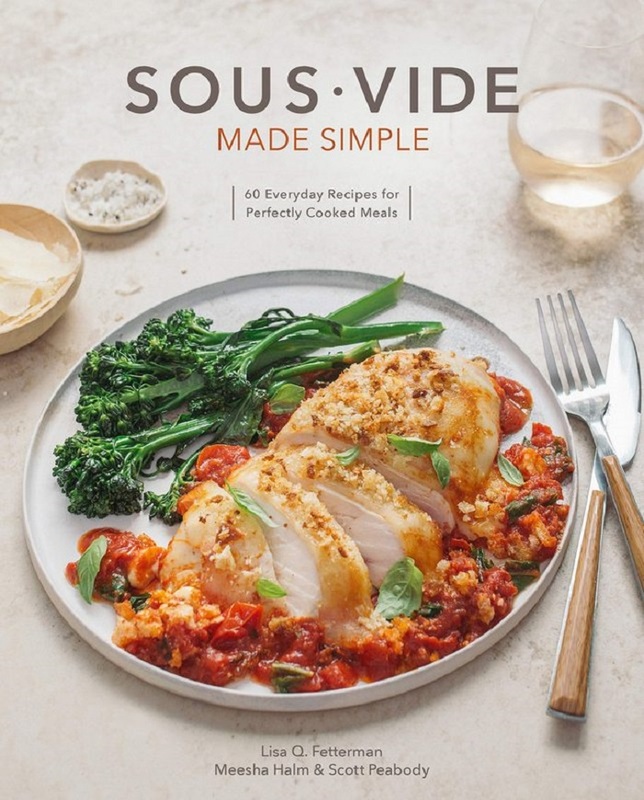 One of the more useful books to hit my kitchen counter this fall is Sous-Vide Made Simple: 60 Everyday Recipes for Perfectly Cooked Meals by Lisa Q. Fetterman, Meesha Halm & Scott Peabody. I know what you’re thinking: I don’t want to spend hundreds of dollars on a sous-vide machine. Well, the authors show that you don’t have to. Aside from an inexpensive immersion circulator, sous-vide cooking can be accomplished using equipment you probably already have on hand: a large stockpot or canning pot, plastic bags, Mason jars, etc. 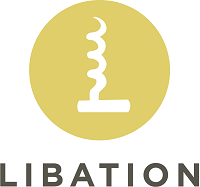 By following the authors’ advice and techniques for sous-vide cooking you’ll be making perfect dishes in no time such as Asparagus Benedict, Pork Tenderloin Piccata, Carnitas Tacos, Shrimp Gumbo and even desserts like Chocolate Raspberry Parfaits. Every chef worth his or her salt knows about the power of vinegar. It’s a secret weapon in most professional kitchens – an almost magical potion that livens dishes by balancing flavors, adding acidity, and helping to tone down overly bitter and fatty foods. 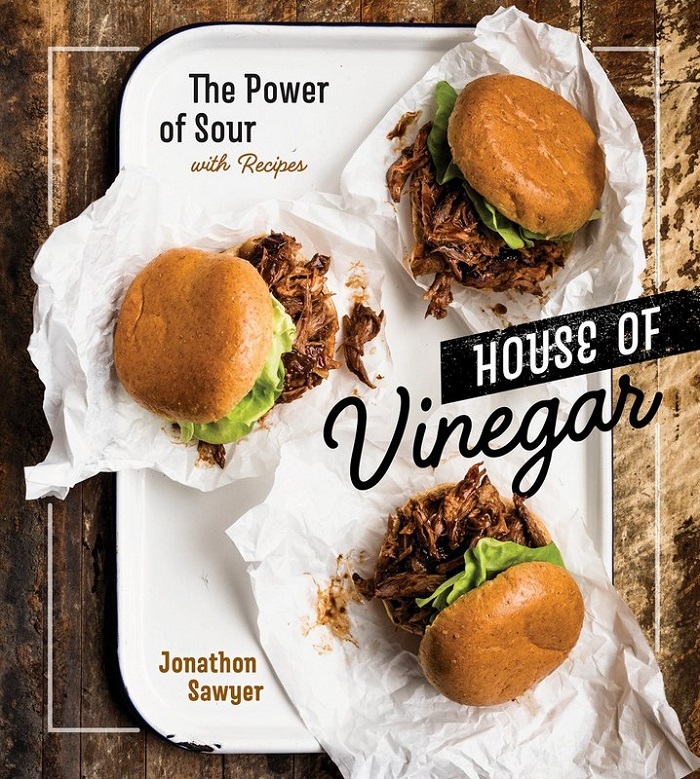 Cleveland chef Jonathon Sawyer knows this and shares his vinegary secrets in his fascinating book, House of Vinegar: The Power of Sour, with Recipes. In addition to being an excellent how-to manual for making top-notch vinegar at home (you’ll never use store bought again), this useful book is chock full of recipes that utilize vinegars, including Apple Tarte Tatin, Tofu Jerky, Sauerkraut Balls and Chile-Peach Wing Sauce. Also included are a dozen or so vinegar recipes that run the gamut from Apple CIder Vinegar and Red Wine Vinegar to Umami-Infused Vinegar and Cream Soda Vinegar. House of Vinegar is guaranteed to add some oomph! to your cooking.